The Zildjian ZBT Ride Cymbal makes a medium high-pitched tone with precise, clean stick definition. The ZBT series is your introduction to the Zildjian family of cymbals. 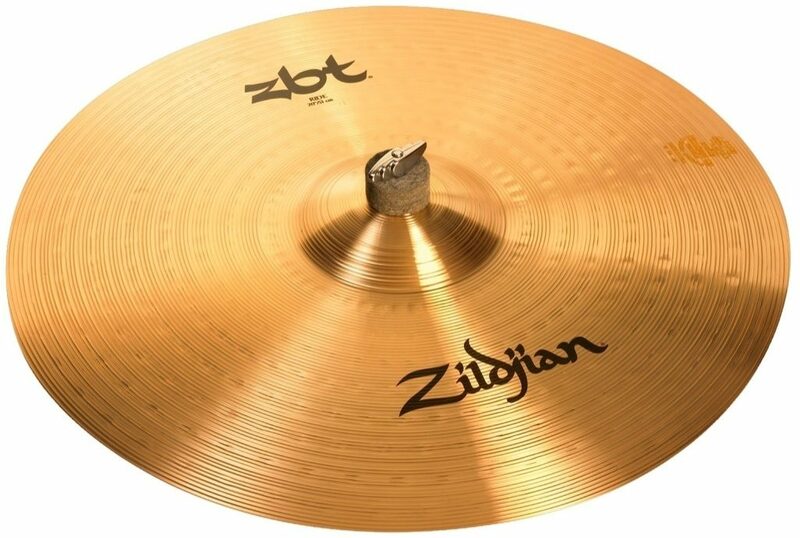 With innovative manufacturing techniques developed in the Zildjian Sound Lab, ZBT delivers a bright, intense sound that cuts through the mix. They also feature extensive lathing with a traditional finish. - Bright: Intense, high-pitched sound cuts through the mix of other instruments. - Loud: Sheet origin and lathing techniques create high-volume projection. - Fast: Speaks quickly and brightly when struck then decays rapidly. - Consistent: Pressed and lathed from sheets of uniform, high-quality bronze alloy. - Great Value: Manufacturing innovation delivers Zildjian quality at affordable prices. - Brilliant: Sold exclusively in the highly polished, brilliant finish. Overall: I honestly was sketchy about the low prices and the quality but I am not disappointed what so ever. This deal vastly surpassed my expectations! I now get all my equipment and get from zzounds.com! Sound: I play in a rock band that blends funk, jazz and rock elements in its music. I find this cymbal very good overall cymbal for such kind of music. It's loud when you need it to be, but it can be really soft and quiet also. Feature: Bell is nice. Not so good when you crash it, but the sound is still pretty solid. Ease of Use: Easy to adopt to. Big bell. Quality: I'm aware that it's not top-of-the-line cymbal, but I still haven't cracked it.. Value: For that amount of money, I doubt you can find a better solution. Great value for money ratio. Manufacturer Support: Pretty easy to reach, even in Serbia. The Wow Factor: It looks good, and it sounds good, but nothing spectacular. Overall: I will definitely use it until it cracks or until i save enough money for K custom hybrid. Don't wanna sell it.